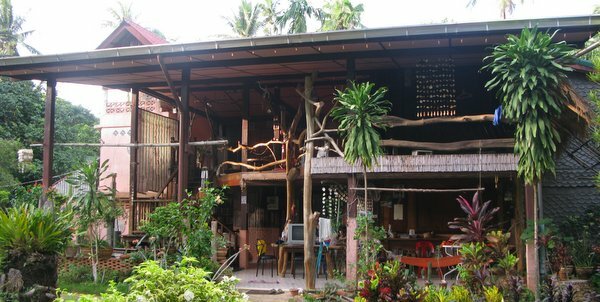 Klong Son, the nearest Koh Chang town to the ferry piers, offers a curious mix of motel style rooms, some of best villas on the island, a few guesthouses and two or three resorts. It is a very local area, so there is not too much for the tourist outside of where they stay, a few cheap eats, Thai style and a couple of 7/11’s but it continues to grow in popularity, as more visitors to the island look for a private villa as their accommodation choice. Though Klong Son is separated from the rest of the west coast by the mountain and its switchback curves, taxis do still run back and forth very regularly. Renting a motorbike or car for a few days is also a good way to get about. Simply follow the rectangular buttons below to find more detailed listings at our affiliates. If you choose to make a booking with the affiliate, which ultimately results in a paid and checked-out stay, we will then garner a small commission from the affiliate at no cost to you. At the northern end of the Klong Son about 5 minutes from the main Ao Sapparot ferry pier and almost immediately after the Chinese temple, you’ll find the street leading down to Siam Royal View. Follow this to the end and it opens out onto the largest private villas development on Koh Chang. Spread out over a huge area, the complex includes a small 3 storey condo block, about 40 villas, 2 beach clubs with pools, a marina, a pitch and putt gold course and a beach. Though the properties are privately owned, several villas are available for short term rents and weekly rates. Expect to pay prices from around 55,000bt for 7 days (two to three bedrooms) to 60,000bt for the addition of a small private pool. You can also now hire condos in a new 3 storey block with their own beach club and pool from 35,000bt upwards, again for a week. The excellent boutique resort, Little Sunshine, sits on the seafront within the complex, with double rooms from 4,000bt, its suite with private pool from 8,000bt and its pool villa at just under 15,000bt. Peninsula Resort, near the main swimming pool, is at present just a few deluxe beachfront rooms, 5,000bt a night in high season but it is eyeing a major expansion. 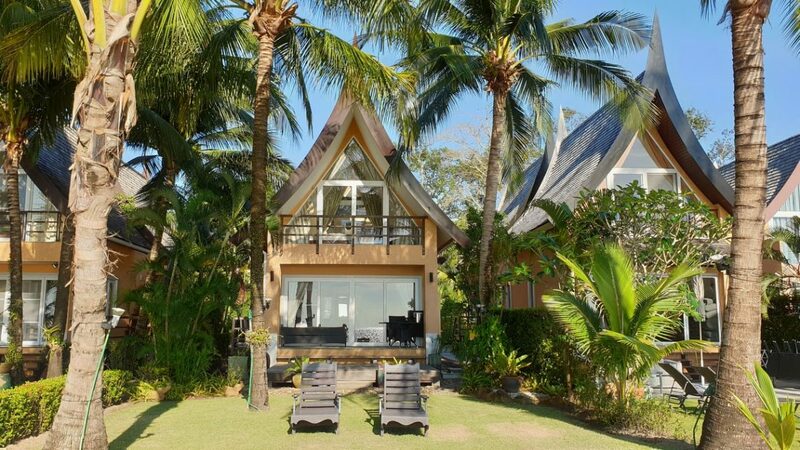 Boutique resort set in the Siam Royal View private villa development on Chang Noi beach at the southern end. 2 deluxe rooms and a house, spa and full use of the facilities with infinity pool, beach club, kayaks, golf. Also Located in Siam Royal View and managed by Emerald Cove, this small row of luxury junior suites has direct access onto the beach. Free use of The Beach Club, with pool and restaurant. Free Parking. Part of an ongoing project set to expand in 2019. Part of Siam Royal View, this self catering a/c villa sleeps 8, in four bedrooms with double beds. Other amenities include a fully-equipped kitchen, a dining area, lounge with satellite TV and DVD player, patio and bbq, wifi. Free use of The Beach Club, with pool and restaurant. Free Parking. Just metres from the sea. Newest addition to the Siam Royal View development, a modern 3 storey appartment block within metres of the sea. Studio or 1 bedroom accommodation, kitchen areas and bathrooms, fully a/c, TV, DVD. Full use of the Shamabala Beach Club with pool and restaurant, all activities easily arranged. Sleeping 6, this a/c condo villa has a fully equipped kitchen, separate seating area for relaxing with TV and DVD, outdoor terrace and bbq. Guests are allowed to use all the facilities at The Beach Club including the outdoor pool and restaurant, pitch and putt golf. Sleeping 8, this a/c contemporary villa has a three bedrooms with double beds, fully equipped kitchen, separate seating area for relaxing with TV and DVD, outdoor patio and bbq. Guests are allowed to use all the facilities at The Beach Club including the outdoor pool and restaurant, pitch and putt golf. Car Hire and laundry. Located on its own private beachfront and sleeping 9, this a/c villa offers its own pool, fully equipped kitchen with washing machine, separate sitting room with TV, Blu-Ray player, outdoor terrace with sun loungers. Guests are allowed to use all the facilities at The Beach Club including the outdoor pool and restaurant, pitch and putt golf. Car Hire and laundry. Located just metres from the beach and private pool, this stylish a/c villa sleeps 6 in 3 three double bedrooms. It has its own fully equipped kitchen, seating area with TV, outdoor patio with bbq. Guests are allowed to use all the facilities at The Beach Club including the outdoor pool and restaurant, pitch and putt golf. Pets welcome on request. Located along the beachfront with its own private pool, this stylish a/c villa sleeps 6 in 3 three double bedrooms.The villa features a fully-equipped kitchen, dining area with a patio, TV, a DVD player and a sofa seating area. Bathrooms offers either bath or shower. Guests are allowed to use all the facilities at The Beach Club including the outdoor pool and restaurant, pitch and putt golf. 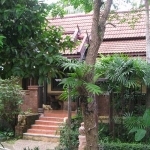 Located on the street leading down to Siam Royal View, nice straightforward villa sleeping up to 6. One double room, one with two single beds, kitchen, sitting area with divan for further 2 guests. Garden and terrace. Guests are allowed to use all the facilities at The Beach Club including the outdoor pool and restaurant, pitch and putt golf. Aiyapura Resort on the southern headland is a Koh Chang veteran with magnificent views out over the bay. Reflecting its status as one of Koh Chang’s high end resorts, prices start at 4,500bt. Up by the road, Orchid Resort is an interesting snug resort normally booked out by Thai packages but it has some cheap rooms from 1,400bt. Large and luxurious resort set on the southern headland. Villas, bungalows and rooms, restaurants, spa, piers, swimming pool and private beach. All activities arranged. At the southern end, large resort set just back from the road, with bungalows and cabins in well-maintained tropical gardens. Restaurant and swimming pool. Popular with Thai packages. Back at the northern end, heading towards Siam Royal View, you will find some other standard bungalows such as Pukdee Bungalows, Villa Blue Sapphir and the much older, 5 Star Resort. All offer excellent long term rental prices. Heading inland towards at the central 7/11 Ban Kwan Chang Elephant Camp and the waterfall, Phet Luran has a decent selection of bungalows, prices from 800bt upwards, good for long stay. Further on, Evergreen Koh Chang Resort has bungalows, doubles and family and a swimming pool – booked for 2 nights as packages at 3,000bt. At the same crossroads, but heading on the other direction towards the sea, Feel@Chill sits on the bend before the temple, bungalows from 1,800bt upwards. It too has a small swimming pool. On the road leading to Aiyapura Resort, Banphu Resort, not to be confused with its namesake in White Sand Beach, has simple rooms from 750bt but you will need your own transport. On the inland road in pretty garden setting, new resort of bungalows, doubles, family with more rooms in 2 storey motel block at rear. Swimming pool. WifI. In-house restaurant. Activities, rentals. Very peaceful. On the road leading from the central crossroads to the temple, new resort with quirky selection of a/c rooms in a small garden. Swimming pool, coffee shop and gym. Free bicycles, motorbikes for rent. On the inland road shortly after the school, 20 or so wooden a/c bungalows well spaced out in a simple garden area. Restaurant on site. Long term rents, quiet and away from it all. 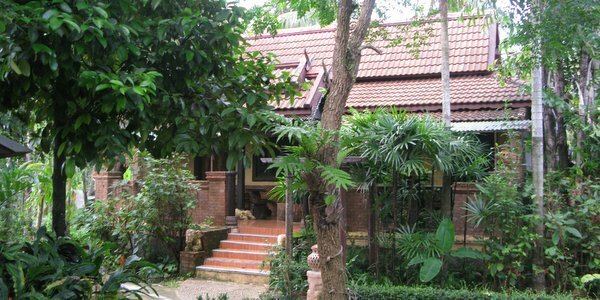 Northern end on the road to Siam Royal View, bungalows and rooms, a/c, with a swimming pool on site. Available for monthly deals and need your own transport. Selection of standard well maintained bungalows on the street to Siam Royal View. A/c, bathroom, simple garden. Coffee shop and restaurant at the main road. Long term deals available. Riverside Resort is located by the bridge in the centre of Klong Son, motel style accommodation from 750bt a night and at the 7/11 crossroads, Klong Son Hotel has cheaper rooms from 500bt. Both make useful places for a night near the ferry piers. 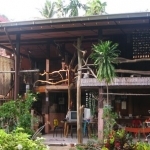 The German and Thai owned Garden Lodge Guesthouse is on the road leading to the temple and Family Guesthouse is right down at the end by the fishing community at the end. These have a loyal following and cheap prices starting from around 400bt. Inland at the crossroads towards the sea, 5 rooms and 2 long stay bungalows, self-catered, set in a pretty, secluded garden. Great local knowledge. Would need your own transport. Roadside by the bridge as you come towards the centre, standard a/c rooms in a two storey building with courtyard. Restaurant and parking. Roadside at the crossroads, no frills hotel with Italian restaurant in a two storey building. A practical choice like the Riverside Motel for those wanting to be near the ferries. 12 fan and a/c rooms in two storeys, on the back road leading to Aiyapura Resort. WiFI, sometimes open restaurant. Will need your own transport. Practical accommodation. Bangkok Hotels, Suvarnabhumi, Trat, Don Mueang Airports, Laem Ngop Pier (Koh Mak), Laem Sok Pier (Koh Kood), Cambodian Borders, Siem Reap, Sihanoukville, Phnom Penh, Battambang and more. Speedboat, Catamaran and Wooden Boat between the Islands - Koh Chang to Koh Mak and Koh Kood - 5 times daily. Koh Wai also.